Canada might still acknowledge the United Kingdom’s queen, but it looks like there’s a new king in town. The 2016 Ram 1500 EcoDiesel was recently named the 2016 Canadian Truck King, despite its extremely competitive segment. This is the second consecutive year the Ram 1500 EcoDiesel has earned the title of Canadian Truck King. To become King, the Ram truck went through a rigorous, multiday test. Multiple light-duty pickup trucks and commercial vans were tested head-to-head and were judged by nine expert judges. The evaulations focused on capability, consumption, and features, including 6,000 pounds of towing and 1,000 pounds of heavy payload. There was even an off-roading test. 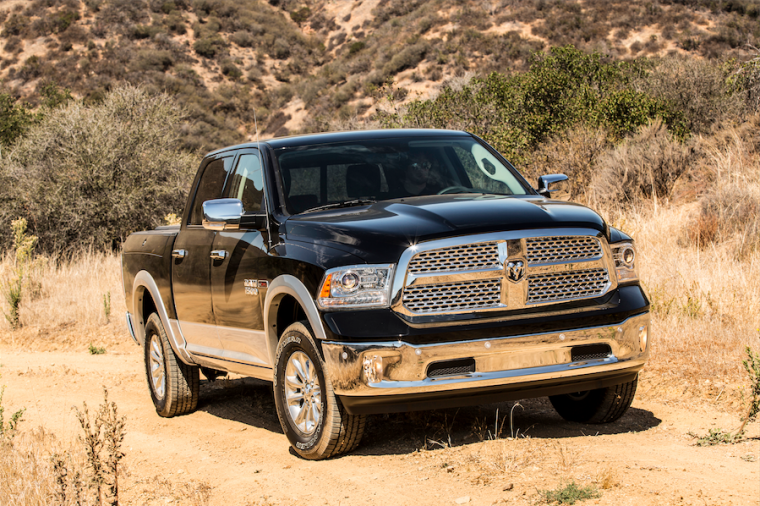 The 2016 Ram 1500 EcoDiesel out-tested 13 other pickup trucks, mid-size, and full-size vans. This included new and refreshed light-duty domestic truck competitors, like the revised Chevrolet Silverado and new Ford F-150. Currently, Ram pickup trucks are the second best-selling vehicles in Canada, and are ready to have a new record-setting year in sales. With a variety of segment-exclusive features, such as Active-Level Four Corner Air Suspension, and the RamBox Cargo Management System, it’s not really surprising Canada is now ruled by this kickass truck.